News from September, 2009 on Madison - St. Clair Record. A woman has filed suit against the driver who she says rear-ended her after failing to stop behind her at a red light. A man has filed suit against the Madison police officer who he says jabbed him in the stomach with a baton merely because the man was standing in the middle of the street. Tillery Class action attorney Stephen Tillery said that up to 100 more Illinois sanitation districts could be interested in joining his six Madison County class action atrazine lawsuits. A woman is seeking more than $50,000 from the driver who she says rear-ended her. An East Alton woman has filed suit against the couple who sold her the home in which she now resides, alleging they failed to disclose pertinent information about leaks and sewer problems. Ricki L. Jones is suing a woman who purchased real estate from him, alleging the purchaser failed to uphold her end of the bargain. Madison County Circuit Judge Dennis Ruth will hear motions in a personal injury suit of a man who claims he was injured when he fell at a Granite City steel company's facility. Wisconsin jurors found that Edwardsville trucking company owner Tom Buske stole millions from household products maker S.C. Johnson, but he pleads that he shouldn't have to give the money back because it would leave his family penniless. Workmen will soon replace attorneys and judges in Madison County's courtrooms as five civil and two felony courtrooms get technical upgrades that officials say will improve case presentations. Lakin NEWARK, N.J. – Two Sprint cellular telephone customers disagree about Sprint's early termination fee but agree that a pending class action settlement won't do them any good. Massive layoffs in Madison County's Probation and Court Services Department will compromise public safety and be "extraordinarily injurious to the local court system," said Third Circuit Chief Judge Ann Callis. A woman says a St. Clair County man owes her $150,000 after he failed to make payments on his promissory note. A Belleville woman claims she broke her left ankle while roller skating after the wheel of her skate broke off. Crowder A settlement that left attorneys for one of the parties in a complex negligence and wrongful death suit scrambling, can go forward. 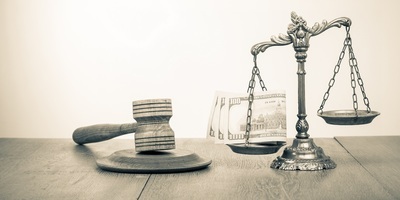 Herndon EAST ST. LOUIS – U.S. District Judge David Herndon has dismissed a $90 million suit that disbarred lawyer Amiel Cueto of Belleville filed against three men he accused of framing him and causing him to lose his law license. A man who says he was attacked at a bar has filed suit against his attacker and the bar who served alcohol to him. A St. Clair County woman says she suffered severe and permanent injuries after a driver rear-ended her. A St. Clair County woman has filed suit against the driver who she says failed to stop for a red light.